Ever since I tried on eyeliner for the first time at Sephora very recently, I've been "into" eyeliner. I haven't been wearing it regularly but I've been having a desire to try different eyeliners for some reason. I guess it's because I had such a surprisingly easy time applying the one I tried at Sephora (NARS Eyeliner Stylo) and I then had such a different experience with a cheap eyeliner I bought afterwards. 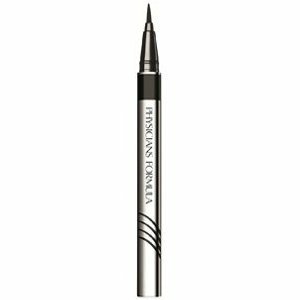 I like the idea of finding a more affordable but also high quality and easy to apply eyeliner. These two eyeliners are two that I saw that seem like they might fulfill these criteria. Physician's Formula eyeliner is a 2-in-1 which is nice, and it's waterproof and smudge-proof which I think is close to necessary for someone like me who might not think to watch out for eye makeup. 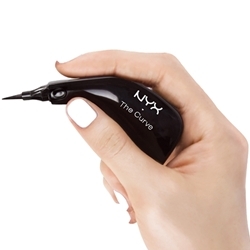 NYX The Curve eyeliner seems so easy to apply with its ergo design and for that reason, it seems like a very interesting product for clumsy and inexperienced me. Totally agree with Courtney, the PF Eyeliner is my go to liquid eyeliner! I am on my third one! It does not budge and has a wonderful precision tip! I don't even know where we can get this brand... I wish I did or I'd be totally on it! the shape of the nyx eyeliner is very interesting indeed! i have never seen it before.